Khan was arrested in September last year in connection with the death of over 60 children at BRD Medical College Hospital in Gorakhpur allegedly due to lack of oxygen cylinders. He was released on bail in April this year. Bahraich police Saturday arrested suspended paediatrician of BRD Medical College Hospital, Dr Kafeel Khan for allegedly creating nuisance at the district hospital. Khan was arrested along with his two associates, Suraj Pandey and Mahipal Singh, the police said. They were later granted bail, police added. “My brother had gone to Bahraich district hospital after he came to know from different sources that several children had died because of an unknown disease. He wanted to know if the deaths were caused due to encephalitis. While he was speaking to the family members of the patients to know the symptoms, a police team arrived and forcibly took him with them,” Khan’s brother Adeel Ahmed Khan said. 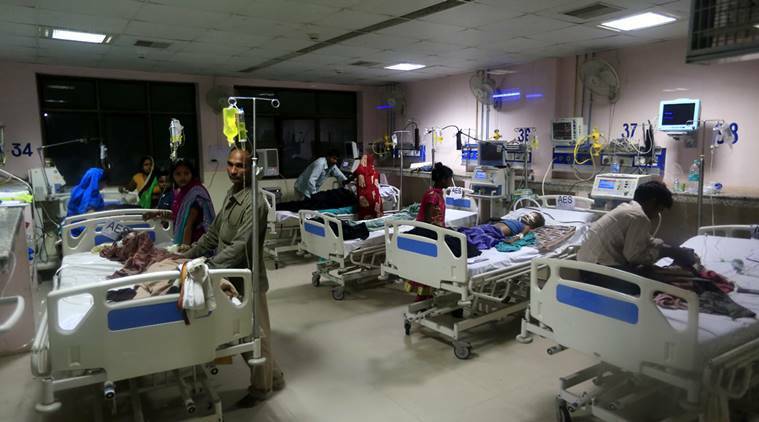 When contacted, chief medical superintendent of Bahraich district hospital, Dr DK Singh said that 71 children had died in the hospital between August 1 and September 16. While six died of encephalitis, others died due to various other reasons. “Khan and his associates started questioning the families of the patients in the paediatric department without obtaining any permission from the authorities which created problem in the ward,” Singh added. Confirming the arrest, Assistant Superinte-ndent of Police, Bahraich, Ajay Pratap said that Khan and his associates were held after the hospital authorities complained against him for creating nuisance inside the health facility by entering into an argument with the staff. They were booked under CrPC section 151 (breach of peace). “However, the court has granted them bail,” said Pratap.